When the RCMP busted two people for attempting to bomb the BC legislature on Canada Day in 2013, few questioned the millions in police resources spent intercepting the alleged terrorist plot. And when Crown prosecutors first laid out their case against John Nuttall and Amanda Korody at trial beginning February 2, 2015, the alleged Boston bombing copycats still seemed genuinely scary. But nearly three months into the terrorism trial, about 90 hours of covert police recordings have revealed two sides of the RCMP sting. On one hand you have gotcha footage of a dude assembling what he thinks is a pressure cooker bomb with intent to die a martyr for jihad. On the other hand, the alleged two-person terrorist cell was exceedingly poor, sick, self-medicating, and irrational during their months-long interaction with law enforcement. The 240-officer investigation contemplated whether Nuttall was “developmentally delayed” or not months before he and his common law spouse were arrested on four terrorism charges. 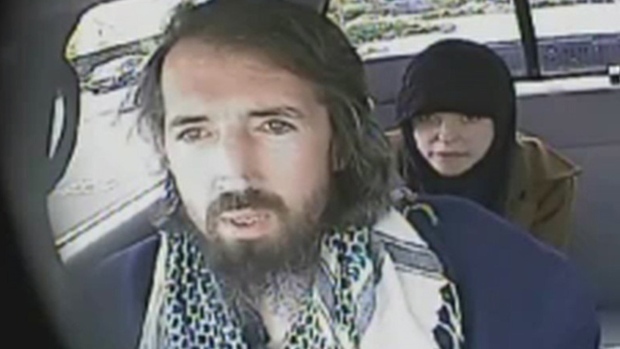 The impoverished Surrey couple’s Rambo-inspired plans varied wildly from minute to minute as police provided groceries, bus tickets, many hotel rooms, clothes, cigarettes, and eventually the inert “C-4” explosives used inside the fake bombs. Both accused were on methadone and welfare at the time. Thanks to the addicts’ wild imaginations, BC’s Supreme Court has now heard enoughchemtrail conspiracies and paintball gun punchlines to sustain a feature-length stoner comedy. Nuttall thinks Michael Jackson was assassinated because he converted to Islam, for example. As defence lawyers Marilyn Sandford and Mark Jette wrapped their cross-examination of the Crown’s star witness this week, the expensive sting operation looks more like a gong show than anyone could have imagined. The accused terrorists were enjoying a police-financed weekend getaway in Kelownawhen undercover cops told Nuttall that building a pressure cooker bomb was “feasible,” “exciting,” and “realistic.” Months into the investigation and two weeks before the mock bombing would take place, Nuttall still mused about assembling cow-manure rockets, sinking ships, and hijacking defunct VIA trains. The RCMP corporal who posed as an Arab businessman with “mujahedeen” connections has denied he orchestrated any element of the attack. The cop, whose identity is protected by a publication ban, maintains he was merely steering the would-be bombers away from unmanageable strikes. “‘Feasible’ to me is something police can control,” he told the jury last week. Convinced he would burn in eternal hellfire if he turned his back on jihad, Nuttall hoped the undercover RCMP corporal would set up a meeting with a “sheikh” or spiritual advisor as the clock ticked down to “D-day.” The cop told Nuttall a meeting was not possible, adding he might be able to see the sheikh in a few days’ time. Jette argued the couple looked up to the undercover cop for Muslim teachings, who in turn toyed with their minds. When questioned, the RCMP corporal clarified Nuttall’s request was to see a specific sheikh who would justify his violent plot. He told the jury the accused could have sought guidance from a normal British Columbian imam or sheikh at any time, but didn’t. All of this courtroom theatre comes as Tuesday’s federal budget announced $293 million in new funding for cops and spies to tackle terrorism. Within the last year, the RCMP’s budget redirected $22.9 million to support Integrated National Security Enforcement Teams (INSETs) in five major Canadian cities. Metro Vancouver’s “INSET” took credit for arresting Nuttall and Korody in July 2013. “These arrests are another example of the effectiveness of our Integrated National Security Enforcement Team who worked tenaciously to prevent this plan from being carried out,” BC RCMP assistant commissioner James Malizia said at the time.